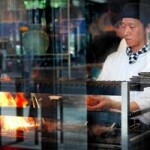 Try something different – discover classic Korean cooking in High Holborn. Well-prepared Indian food served in comfortable surroundings with affordable prices. © 2019 restaurantsOMH. All Rights Reserved.